The term myelopathy refers to a disorder of the spinal cord. A myeloneuropathy is a disease process that affects both the spinal cord and peripheral nerves. Symptoms can include an unsteady gait, numbness, weakness, or bowel and bladder problems. The numbness in a myeloneuropathy is usually in a hands and feet distribution, beginning in your feet. The causes of myelopathy are diverse and include autoimmune disorders, tumors, toxins, and vitamin deficiencies. A vitamin B12 deficiency is the most classic form of myeloneuropathy due to a nutritional deficiency. Vitamin B12 is usually found in animal proteins like meat and milk, but it's common enough in supplemented cereals and some yeast products that it's uncommon for people in western cultures to become deficient as a result of dietary restriction alone. Vitamin B12 is absorbed in a complex manner that relies on a protein called intrinsic factor. This intrinsic factor must be secreted from the stomach and react with the vitamin to allow for proper absorption in the small intestine. Longstanding vegetarians or vegans who don't use supplements may develop a B12 deficiency. But more commonly, the problem results from poor absorption. Some people have an autoimmune disorder like pernicious anemia in which antibodies attack the cells that secrete intrinsic factor, resulting in B12 not being properly absorbed. Gastric bypass surgeries or inflammatory disorders like celiac disease can also lead to vitamin malabsorption. 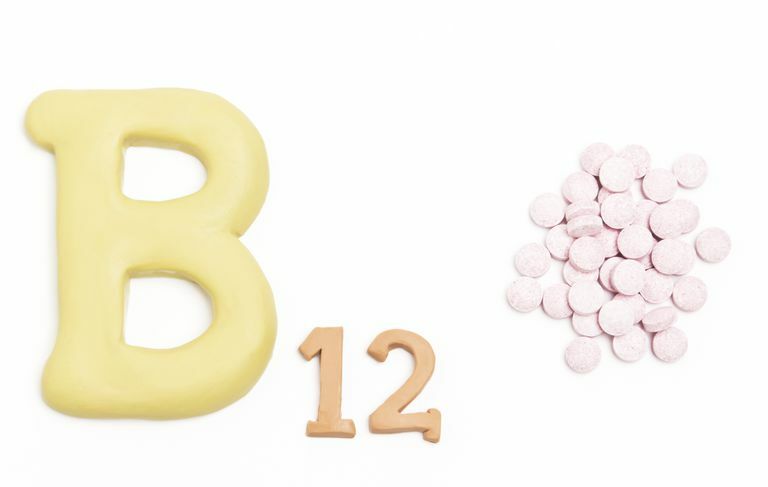 Medications like metformin and proton pump inhibitors may also lower B12 levels. The myelopathy caused by low vitamin B12 has been called subacute combined degeneration: "subacute" because your symptoms develop slowly; "combined" because multiple neurological symptoms are impacted; and "degeneration" because your cells can die as a result. The major part of the spinal cord that's damaged is the posterior column, which carries information about light touch, vibration, and position sense (proprioception) to the brain. As a result, you can feel numbness and you may feel tingling as well. The autonomic nervous system can also be impaired since these fibers run through the spinal cord too. A mild peripheral neuropathy also contributes to these symptoms. In addition, your optic nerve may be compromised, leading to diminished vision, as may your olfactory bulb, resulting in a decreased sense of smell. You can also develop dementia which is why this vitamin is routinely checked before diagnosing someone with a disease like Alzheimer's. In addition to neurological changes, B12 deficiency can cause a decrease in red blood cells, known as an anemia, which can be detected when checking a complete blood count. Vitamin B12 deficiency can be confirmed by a simple blood measurement of the vitamin level. Other tests used to diagnose B12 deficiency include spinal cord magnetic resonance imaging (MRI), somatosensory evoked potentials, or visual evoked potentials. The MRI will show a bright signal in the posterior part of the spinal column. Evoked potentials show slowing in your visual and sensory pathways to the brain through electrodes. B12 deficiency can be treated by either oral or intramuscular injections of the vitamin. If possible, the cause of the B12 deficiency should be addressed. Recovery from B12 deficiency takes time. Typically you'll need lifelong supplementation with vitamin B12. Improvement may continue for up to 6 to 12 months of supplementation, though it's possible you'll suffer from lasting deficits. Working with a physical or occupational therapist may help you deal with any lingering problems. Goodman BP. Diagnostic Approach to Myeloneuropathy. Continuum: (Minneap Minn). August 2011;17(4):744-60. Hammond N, Wang Y, Dimachkie M, Barohn R. Nutritional Neuropathies. Neurologic Clinics. 2013;31(2):477-489. doi:10.1016/j.ncl.2013.02.002. Ropper, AH, Samuels MA. Adams and Victor's Principles of Neurology. 9th ed. The McGraw-Hill Companies, Inc.; 2009.